Long range jets are some of the most spacious and comfortable private jets on offer. Perfect for long-haul flights, our fleet of long range jets fly between intercontinental destinations on a regular basis. With a range of over 5000 miles and a capacity of up to 15 passengers, these are some of the largest private jets around. Perfect for medium to long-range private and business flights, these long range jets are designed with comfort and entertainment in mind. This also makes them suitable for overnight flights. With private jet charters, you don’t have to worry about excessive noise or over-crowded luggage racks, so there is plenty of time to run through presentation notes or catch up on paperwork. For more information on long range jet charters, why not get in touch? French manufacturer Dessault Aviation is responsible for creating the exquisite Falcon range of private and executive jets. Dessault Aviation also build military aircrafts, so their design is focused on fuel economy and the latest technologies as well as comfort. With spacious cabins and an excellent flight range, this is the perfect aircraft for long-haul business charters. The Dessault Falcon 7X remains one of the finest jets in the industry and was the first of its kind to include fly-by-wire technology, which improves handling and stability with automatic controls. Key feature: Acoustics technology, for more peaceful overnight journeys and stress-free business trips. American company Gulfstream have been providing engineering excellence and innovation for over 50 years. The first Gulfstream aircraft took to the sky in 1958, and the company has held its own in the industry ever since. The G650 is their current flagship and is one of the fastest, most luxurious private jets in the world. 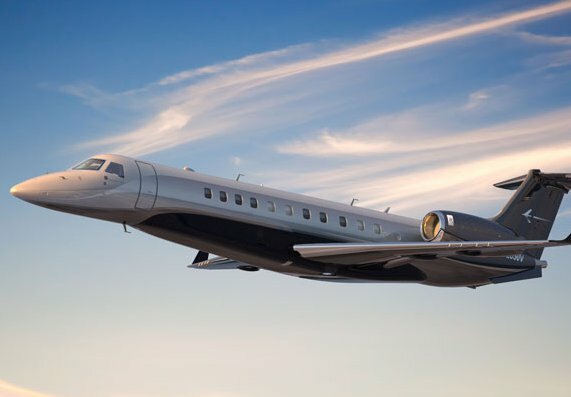 This prestigious aircraft is one of the most expensive business jets on the market, as well as being incredibly popular with celebrities and extremely wealthy professionals. Key feature: The altitude is significantly lower than on other jets and commercial flights, due to cabin pressure levels designed to reduce fatigue. The Bombardier Global Express 5000 is a fast, long range Canadian jet. Very popular among high-profile celebrities, the Global Express 5000 is quick climbing and is capable of flying for over 12 hours non-stop. This model is perfect for intercontinental business trips and events. Key feature: One of the few aircrafts certified to fly in and out of London City Airport, which has a short runway and steep approach profile.